Walter Pall was born in 1944 in Austria, he is married to Hanna, with one son, living near Munich, Germany, in sight of the Alps where he grew up and still loves to ski. Since 1980 Walter has been busy with bonsai as a hobby. Today Walter is one of the most popular bonsai artists who has performed on most international stages. He has visited the vast majority of European countries and also South Africa, Australia, Canada and the United States; he even appeared in Israel and in Argentina and Brazil. His lectures are a treat. 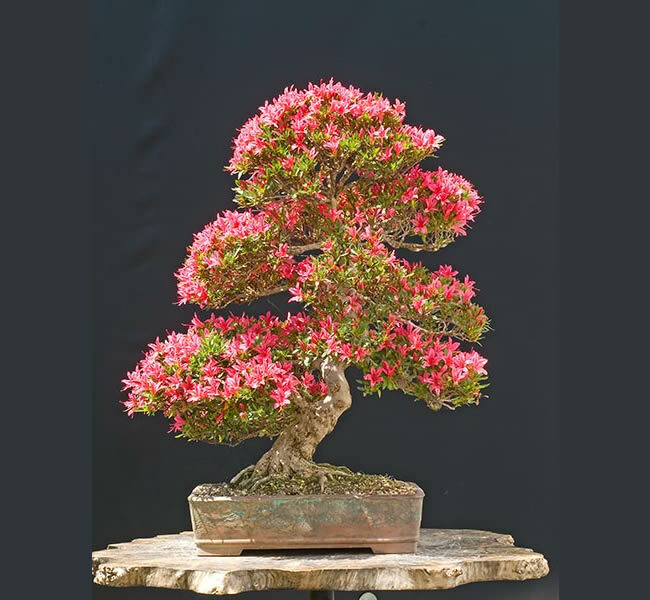 Walter's philosophy about demos is first and foremost to provide a basis of high quality bonsai work, add a substantial amount of explanation for the audience to clearly understand his development process, and also tell amusing anecdotes along the way. Altogether this makes for an entertaining and professional show. Nobody falls asleep in Walter's lectures. Walter often is called a walking encyclopedia on bonsai and he shares his knowledge freely. Walter also loves to lead workshops where he sets the main focus on teaching the artistic side of bonsai. In the past years Walter has also established himself as the key moderator for international bonsai conventions. A specialty of Walter are his tree critiques which eh calls ‘tree inspiration'. He analyses anything from stick in a yogurt cup to world class bonsai. Walter gives clear indications of pros and cons and describes ways to continue working with the trees.